In the fallout of the royal commission’s final report, the five largest banks have all promised to act on Commisioner Kenneth Hayne’s recommendations moving forward. Central to the institutions now is the issue of trust as they work to regain consumer confidence in the finance sector. Notably, shares for the major banks have all risen sharply over the past day with AMP leading the way. 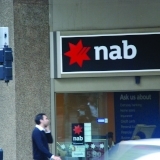 Out of the big four, NAB was most notably singled out within the report, with Mr Hayne saying he felt it was not as promising as the others in demonstrating a will to reform. “This commission has put the entire banking sector under the microscope,” said Anna Bligh, CEO of Australian Banking Association. Mr Hayne had singled out NAB, saying he felt Mr Thorburn treated issues of fees for no service as nothing more than carelessness and chair Dr Kenneth Henry had been unwilling to accept criticism for how the board had dealt with issues. On the report Mr Thorburn said: “As the CEO, this is very hard to read, and does not reflect who I am or how I am leading, nor the change that is occurring inside our bank. “While we have made mistakes, I believe there is a lot of evidence that we are making sustainable and serious change to once again regain the trust of all our customers. NAB chairman Kenneth Henry commented: “In his final report, commissioner Hayne said I seemed unwilling to accept criticism of how the board had dealt with some of the issues raised by the commission. I am disappointed that the commissioner formed this view. I know that it is not so. Westpac is the only institution out of the big four that is retaining at least some aspects of its wealth business. “The challenges for Westpac may therefore differ from those facing the other major bank,” Mr Hayne wrote. Brian Hartzer, CEO of Westpac said: “Westpac has already taken some steps to address some of the matters that are referred to in the report, including our approach to dealing with customer complaints and leading the industry in moving away from grandfathered commissions. While it did not completely condemn vertical integration, the final report was critical of the model. “The internal efficiency of the ‘one-stop-shop’ does not necessarily produce efficiency in outcomes for customers,” Mr Hayne wrote. AMP defended its use of vertical integration, and stated that it has embraced change and has already taken action to improve its culture, governance, accountability and processes across the group. The firm appointed Francesco De Ferrari as its new CEO in December and David Murray as its new independent chairman of AMP in June. Further board renewal included the appointments of three financial services leaders as non-executive leaders along with forfeiture of long- and short-term incentives for a number of former executives and a reduction in directors’ fees. In its advice business, AMP made the appointment of Alex Wade as group executive as well as accelerated a coordinated advice remediation program. Meanwhile Mr Hayne is confident that Matt Comyn, CEO, CBA and Shayne Elliott, CEO, ANZ are both aware of the “size and nature of the tasks that lie ahead” for their banks. CBA noted that Mr Hayne had prescribed further investigation for a number of matters regarding its conduct, particularly, as CEO Matt Comyn noted, in relation to superannuation. The bank is publishing its half-year results on Wednesday. In regards to ANZ, Mr Elliott said: “ANZ is committed to continuing the work and investment required to build a bank worthy of the trust and respect of our customers and the community as well as helping ensure these failures aren’t repeated.